After finishing his education in Tunbridge Wells and Cardigan, Jon went on to complete a 4 year apprenticeship as a mechanical fitter at the Royal Aircraft Establishment, Aberporth for the Department of the Environment in 1980. He began painting in 1995 after taking an Access to Art course at the Carmarthen Collage of Technology and Art where his natural talent for painting was soon recognised. 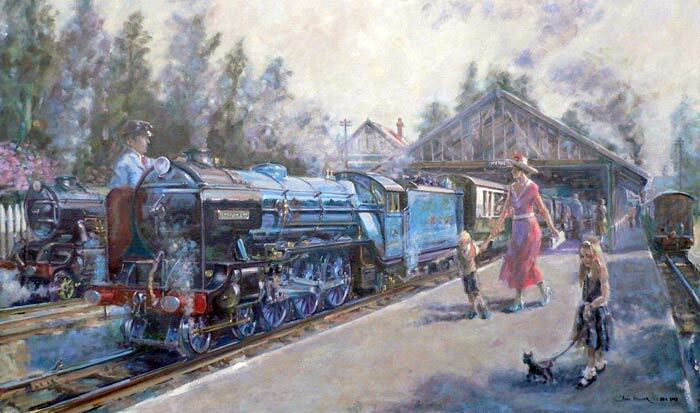 Jon loves capturing the atmosphere of a steam railway in his paintings and also enjoys painting everyday scenes, from around his home near Sageston, Pembrokeshire. 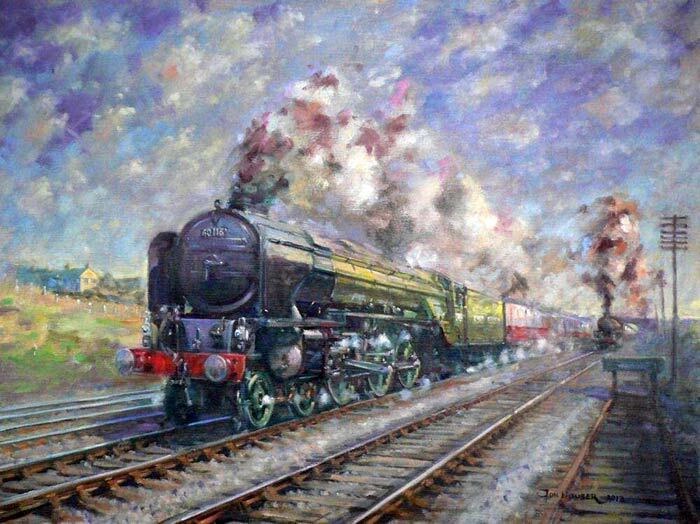 In 2012 he became an associate member of the Guild of Railway Artists and his artwork has now been exhibited at 'RailArt' exhibitions in The Royal Dockyard, Chatham and the at Severn Valley Railway's Kidderminster Museum. 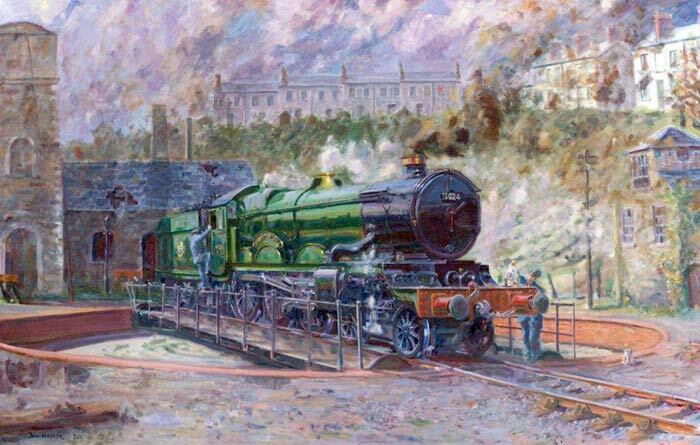 He has work in private collections throughout the UK, and in 2012, his oil painting 'The Castle at Neyland' was purchased by the National Library of Wales for their National Collection in Aberystwyth. 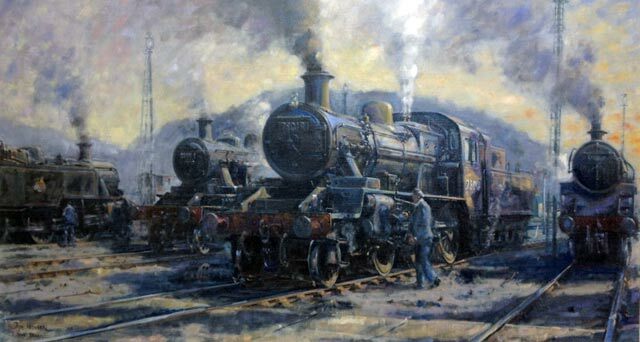 The third of Peppercorn's A1s, 60116 was completed at Doncaster in 1948. 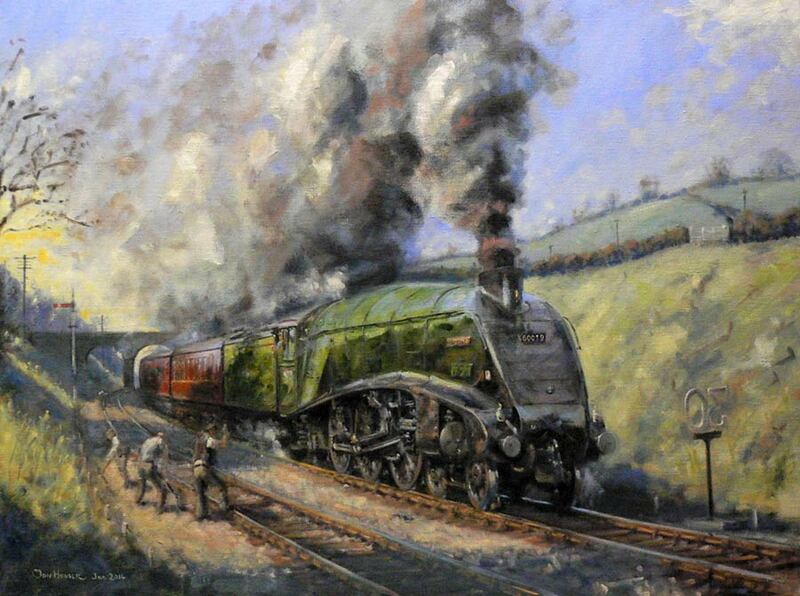 Unnamed, 60116 emerged from the workshops in LNER green livery with black and white lining but with 'BRITISH RAILWAYS' on the tender. 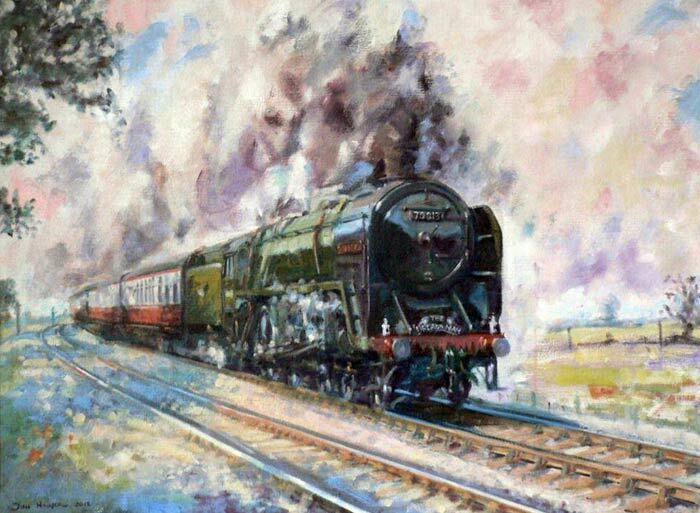 British Railways Britannia class pacific 70013 Oliver Cromwell heads 'The Broadsman'. This Liverpool Street to Cromer and Sheringham train ran from 1947 intil 1962. A Great Western Railway Castle class 4-6-0 on the Neyland turntable in 1957. LMS Ivatt class 2 locomotives await their next turn outside Lostock Hall locomotive shed in 1966. Hythe station on the Romney Hythe & Dymchurch Railway, seen in the 1930's.